Book before 28th February 2019 to avail of a €500 discount per person!! Railtours Ireland First Class! offers an exclusive rail-land cruise in your own special private heritage train with two nights in Dromoland Castle and overnight stays in exclusive City/Country 5* Hotels. This all-inclusive tour is limited to 50 guests and will include all meals, drinks on board the train, and excursions. Experience Dublin's Fair City before travelling by rail along the stunning East Coast to Waterford, Cork, Cóbh and Ring of Kerry. Enjoy an Irish night in Killarney before continuing to the spectacular Cliffs of Moher, Galway Bay and enchanting Connemara. A unique Ireland vacation to remember! Side tours to Waterford Crystal, Blarney Castle, Cobh Heritage, Ring Of Kerry, Cliffs of Moher, Galway Bay & Connemara. Evening of Irish entertainment, Killarney. Limited to 50 guests - Book early to avoid disappointment! Gathering Day in Dublin. Transfers from the airport or Dublin port to your hotel. The remainder of your day is free in Dublin. We will be delighted to offer advice and tips about what you might like to do. We also provide a Hop On Hop Off Dublin Bus Sightseeing ticket which will allow you to explore the top attractions in Dublin such as Guinness Storehouse, Trinity College, and Kilmainham Gaol to mention but a few! Champagne reception at Connolly Station before boarding the Emerald Isle Express, your own private heritage train. Cruise by rail down Ireland's scenic east coast through counties Wicklow and Wexford to Waterford City. Private visit to Waterford Crystal, dinner and overnight stay in Mount Juliet Estate. By rail through the Suir Valley in County Tipperary to Cork and a visit to Blarney Castle and Cork City's English Market. 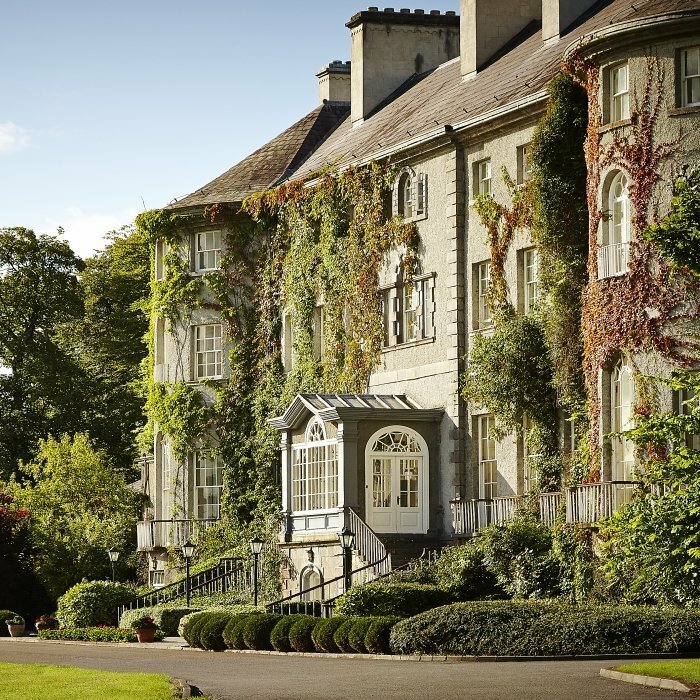 Overnight stay in the five star Fota Island Resort. Visit Cóbh, Titanic's last port of call and then rail to Killarney for a tour of The Ring of Kerry. Overnight in the five star Europe Hotel and Resort situated in the centre of Killarney. Dinner in an Irish Pub with live entertainment. Visit the Cliffs of Moher with lunch at Gus O'Connor's famous pub in the fishing village of Doolin. We then drive along the Wild Atlantic Way through the Burren and Galway Bay. Take an optional tour to Galway City, the Medieval City of the Tribes! A tour of the magnificent region of Connemara with lunch at Ballinahinch Castle. Return to Dublin by rail with dinner and entertainment on board. Scattering Day. Individual transfers from your hotel to Dublin Airport. Extra nights available in Dublin on request if you would like to explore fair Dublin city.